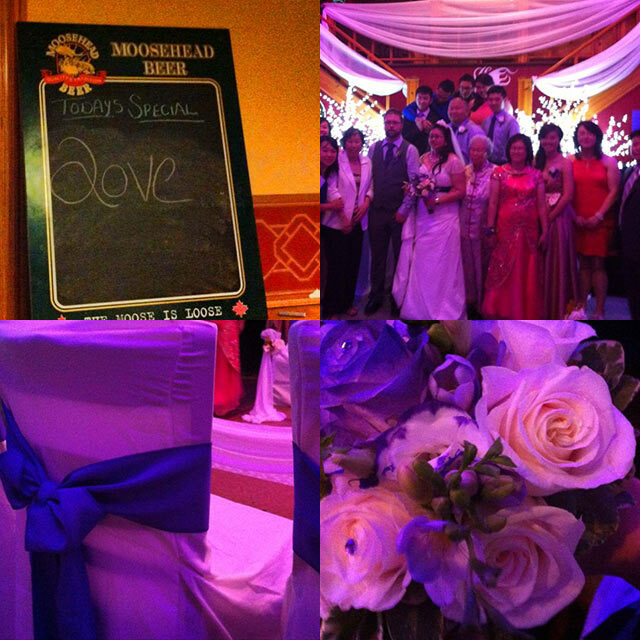 I said before how I love weddings. Everyone all dressed up, love is the center of the day. I love the ceremony of it all. Anyway, I’ll get off that train of thought, otherwise before I know it I’ll be on Pinterest, pinning wedding ideas to a secret board and thinking about what song we should dance to for our first dance! 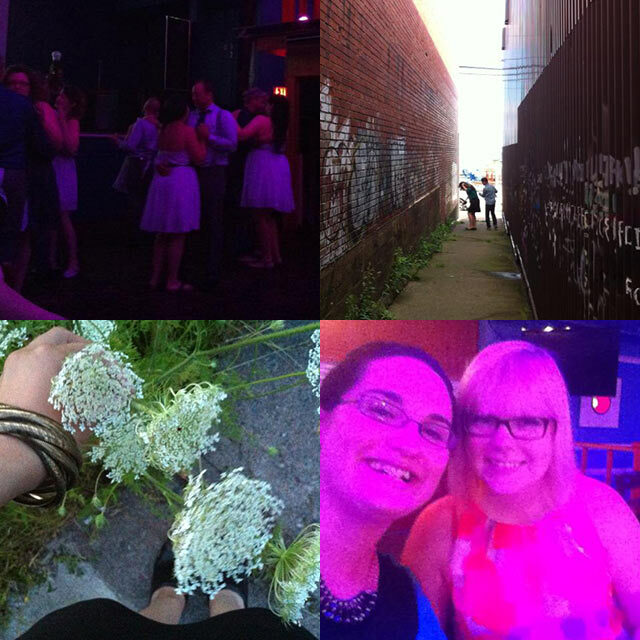 The point of this post is, June and Josh had a lovely wedding, and I had a good time there. I’ve known June since Grade 9, when we were fourteen years old. We met when I left Baddeck Academy and went to Sydney Mines Junior High to take French Immersion (and to get away from the dismal social life I had in Baddeck, which is another way of saying I was bullied). She’s cheery and down to earth and we became fast friends, sharing a group of friends through high school. After high school we went off on our separate adventures but sometimes when I’d eat at the Canton Restaurant in North Sydney (which her parents own and where she’s always worked part or full time), I’d run into her and we’d catch each other up on what we were up to, saying “We should get together sometime!” and always being too busy to really do that. Then last year I moved to North Sydney! And I wanted to make sure I didn’t get lonely there, and that I had some stuff I was doing outside of school and the house, so I made an effort to see June. That meant going to the Phoenix Nightclub and Noodle Bar, which her family had just bought and opened up, and which June was running, and hanging out with her while she worked. And a couple of times we got a few other girlfriends to come over and the restaurant was quiet and we had some great laughs and delicious bowls of noodles. 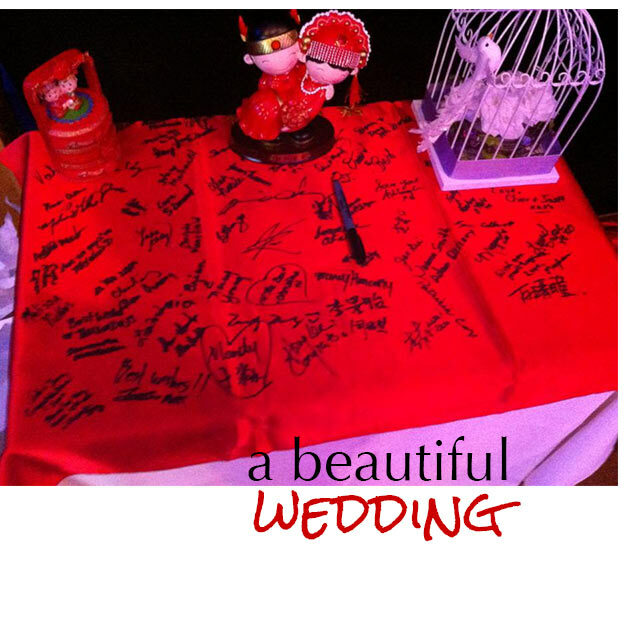 Fast forward to this past week: June got married in the nightclub! And then dinner was at the Canton, and then back to the nightclub (just down the street) for the dance. Life’s good these days. Lots of laughs, lots of love. This entry was posted in Day to Day Life and tagged friends, summer, weddings. Bookmark the permalink.